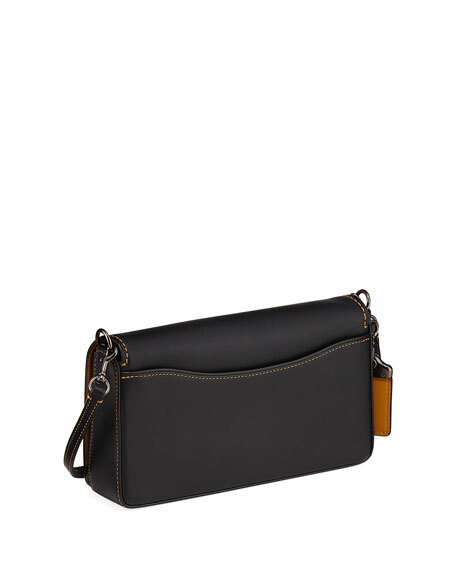 Coach 1941 glove-tanned leather crossbody with contrast topstitching. 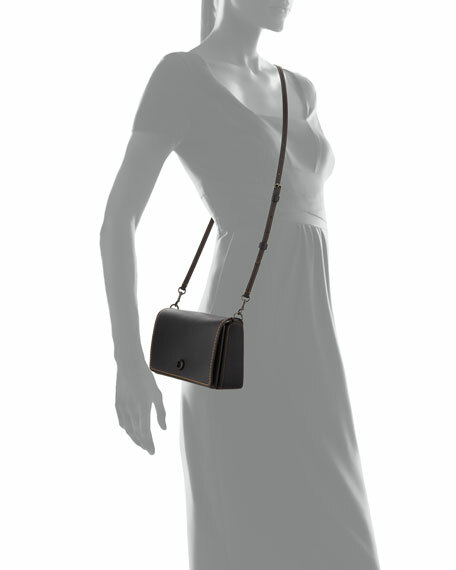 Removable woven chain shoulder strap, 22.5" drop. Exterior, hanging logo charm at side; back slip pocket. 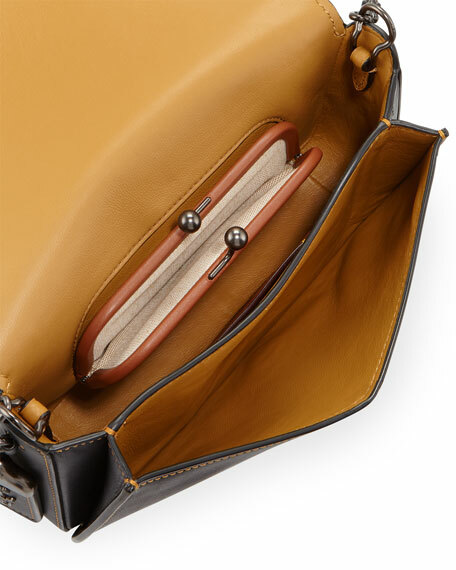 Interior, one slip and one kiss-lock pocket.